The lull after the festive period gives us the opportunity to relax, reflect & take better care of ourselves in preparation for the new year ahead. Read our top tips on achieving improved health & positivity for body, mind & soul. Frankincense was gifted to Jesus after his birth, and is now a popular festive fragrance! Excellent for easing pain and inflammation, including arthritis, rheumatism, IBS and sinusitis, and for relieving stress and aiding relaxation. 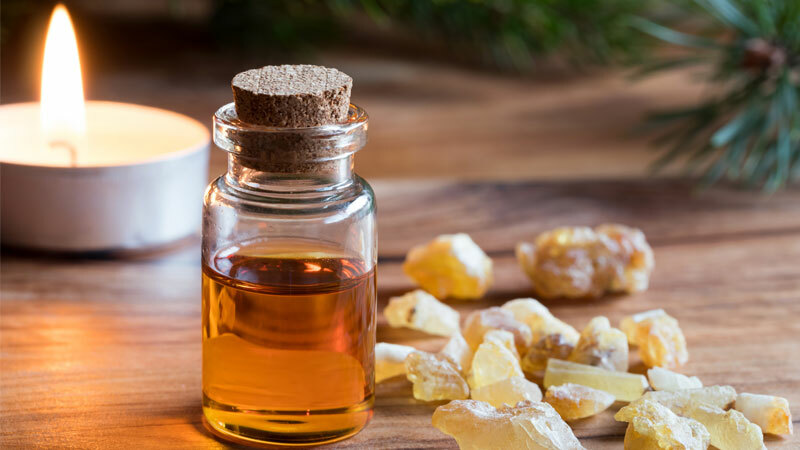 Check out Nicole's favourite Winter essential oil blends for warming stiff joints and muscles, shaking off seasonal sadness, fighting off colds and flu, and just generally pampering yourself on cold winter nights! As with every seasonal change, the arrival of Autumn can bring about its fair share of skin problems, which we must prepare to battle against. For some the colder months can cause dry skin problems, but for others it may actually lead to oilier skin - as the drier, ambient air can encourage your skin to produce more of its moisturising, protective oil. Though this can be an all-year-round problem, it definitely becomes more noticeable as the seasons change. One of the common things people ask me as an Aromatherapist is about how to use essential oils during pregnancy. It’s as if the human instinct to be as natural as possible with health care, kicks in the moment Mother Nature makes you a protector of a child; after all, your baby is the most precious miracle that ever happened, right? So, of course, it’s common to want to care for your health in the most natural and protective way possible. And, what better way than utilising holistic therapies to aid you through the biggest and most exciting change in your life! Autumn is the time of year when we can be susceptible to viruses, like the common cold, and the accompanying uncomfortable symptoms, so I thought it would be helpful to share my Ultimate Immunity Boosting Power Blend with you, comprising of 4 drops of Black Pepper essential oil, 8 drops of Ravansara and 2 drops of Sandalwood. The resulting blend is powerful and synergistic, protecting against and fighting bacteria and viral infections. Top to toe aromatherapy for beauty & healing! Whilst many people think of Aromatherapy as just ‘massage with scented oils,’ this is not simply the case. Yes, essential oils have delicious fragrances, but they actually come from plant extracts which makes them extremely therapeutic too; meaning that essential oils can help with pretty much anything! With Autumn just around the corner, many of us will be getting ready to go back to work, school or university. While we may feel sad that the long, hazy days of summer are coming to an end, it’s hard not to feel a sense of anticipation at the opportunities we may be blessed with over the coming months, although, initially, these may be considered challenges. Feeling anxious, for example, at the prospect of little ones starting ‘big school’, or whether older children will make new friends as they move from primary to senior school. Saying goodbye to excited teenagers, who are leaving home for the first time to go to university, causing ‘empty nest syndrome’. Seeing such challenges as opportunities can, however, be beneficial for our mental and physical health. We may decide to resume careers previously on hold, change career or even go back to college. Using essential oils can help both parents and children deal with change so that everyone can get ahead in the new academic year. One of my favourite ways to integrate Aromatherapy in the home is via an aromatherapy treatment bath! As an Aromatherapist I always make sure that, as well as providing a massage, I am giving great aftercare advice to ensure that my clients can make the best use of Aromatherapy themselves. What I tend to do, therefore, is send them away with a small bottle of their bespoke essential oil blend that we’ve mixed together during their treatment, so they can continue balancing their health at home! In particular, I advise that they can pop the essential oil blend into a bath to have their own mini treatment sessions – perhaps making it a regular ritual for self-care. Travel sickness, fear of flying, jet lag or catching bugs from fellow travellers can be some of the more unpleasant side-effects of the Summer holiday season. Read how aromatherapy can help!